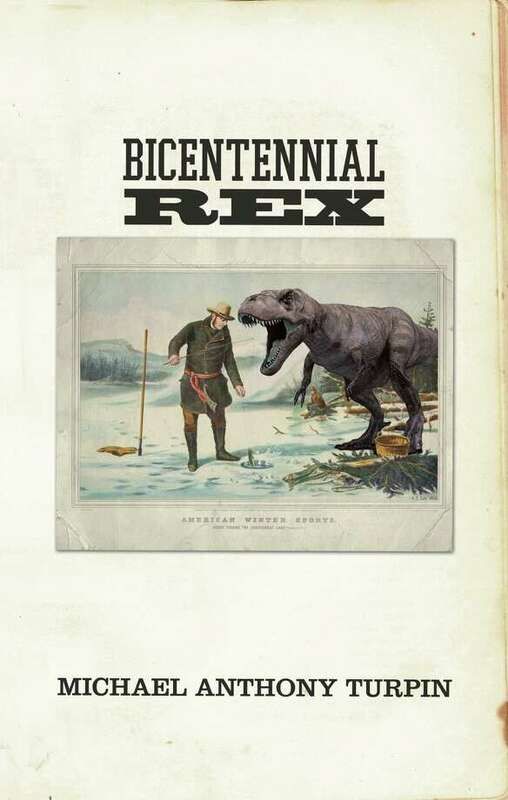 "Bicentennial Rex" is the second book by Mike Turpin. Turpin will speak at the New Canaan Library on Sept. 26 at 7:00 p.m.
Mike Turpin says his new book is both a celebration and a critique of the alpha male patriarch of his parents' generation. The book, "Bicentennial Rex," is set in suburban southern California in the 1970s. The protagonist, Karl Patton, is a reserved and rugged conservative who thinks the world is falling apart around him. They're the kind of men Turpin remembers growing up, and he calls them T-Rexes. "A big head, small arms that can't help with housework, and a big tail that can nail you at 20 yards," he said, describing his main character. The character bears no small resemblance to his own father, he said. "If I ever spoke to my kids the way my dad did, Child Services would be over in two seconds," Turpin said with a laugh. "Are we a more evolved or devolved version of those who came before us?" "Bicentennial Rex" is a prequel to Turpin's first book, "T-Rex By the Tail." Both were self-published. The impetus for the book came from the reaction he got when writing about his father in his column "Lessons Learned" for the New Canaan News and Darien News. "I wrote a series of columns about growing up in a conservative household in SoCal, and those seemed to be most popular with readers and people encouraged me," he said. "The stories I wrote for the News became the foundation for books. I wanted to do it as fiction so that I'd be invited home for Thanksgiving. The first book was an anthem to the last of the great alpha-male patriarchs that used to hit first and ask questions later. The baby boomers were raised by the silent generation whose parents grew up in the Great Depression, and the currency they traded on was fear and hard work." Turpin said the book is a non-judgmental story. There was plenty to criticize in the way parents raised their kids in the 1970s, but also some attitudes that have fallen by the wayside that maybe ought to be resuscitated, Turpin said. A literature major at Claremont McKenna, Turpin eventually got into the health-care industry and moved all over the country and world, spending time in San Francisco, New York, Eastern Europe and Turkey. "I grew up in a house fashioned out of very conservative timber. Then I spent nine years in San Francisco, and to conservatives that might as well be Sodom and Gomorrah," he said. One of the themes of the book is that the world always seems in peril. Whether it was the '70s, when the structures of white male dominance were beginning to crack around them, or today, with debt, war and uncertainty, Armageddon has always seemed near at hand. "One of the premises of the book is that the Millennials will take on the next crisis," Turpin said. "Now my father looks at the Millennials, they have the attention span of a flea, everybody gets an award, and they don't have the ability to pay off the $16 trillion in debt that our generation left them." He will appear at the New Canaan Library, 151 Main St., at 7 p.m. Thursday, Sept. 26, to discuss the book.